Uyeki is a straightforward first-year junior high boy with a strong mind for justice. 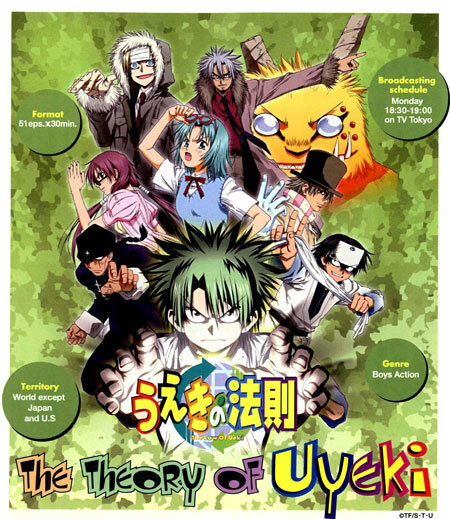 Given the talent of "changing anything considered to be rubbish into trees" from his teacher, Kobasen who is the Ultimate Master candidate, Uyeki finds himself involved in a battle between one hundred Ultimate Master candidates including Kobasen, "Which junior-high student with the talent can change the world". The winner of this battle would gain "The Blank Talent" on which he or she could write down any talent they wish on it. As Uyeki tries to prevent this talent from falling into the hands of evil, he has to face rivals and enemies. Will Uyeki become world's No. 1 junior-high student with his belief in justice and talent?! This popular comic which was originally serialized in Shogakukan's comic magazine, "Weekly Shonen Sunday" is finally coming to you as an anime!